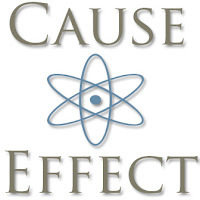 Walsine Pierce: THE LAW OF CAUSE AND EFFECT: Up Close And Personal! 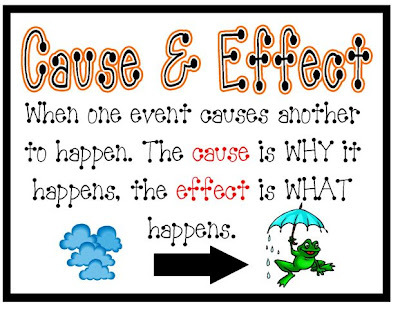 THE LAW OF CAUSE AND EFFECT: Up Close And Personal! 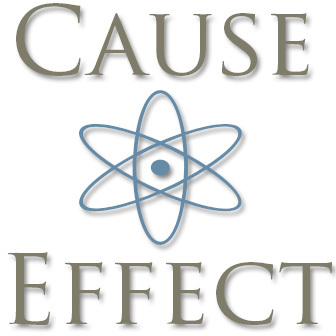 The Law of Cause and Effect is not personal, that's just the way it is. The law states that you reap what you sow. So ask yourself, what seeds are you planting in your garden of life? Today was a great day! Like in days of yore, back when my daughter, Kimberly, was a little girl, I took her shopping for a new garment and took her to lunch. The effect of that action, and others, have caused she and I to be very close. At lunch she shared the evolving effects a dear friend of her's was going through from causes in her past, serious, emotional problems. Kimberly so wished she could help, but the sad fact, she couldn't. Kimberly told me about her 11-year-old daughter, Lanie, (Rosebud), running track. She is by far-and-away the smallest in her class--and on the track team. Like a lot of small people, she is very fast and has been holding her own with older high school girls in the various dashes. When Rosebud said she was going to commence running hurtles, her Mother explained how that just wouldn't work because of Rosebud's size. Kimberly said she was stunned when she was told that not only did Rosebud run the hurtles, only 3 girls cleared all the hurtles and that she was one of the three. Lanie decided she could do it, and did! DELANIE ROSE PIERCE BOGGS WILL DO WELL IN LIFE! Kimberly's son, Riley, seen on the right with his pastor at his recent Confirmation, received around $550 in gifts at the reception his parents hosted for him. Knowing he would get cash gifts, his mother told him in advance that half of whatever he got had to go into his college fund. After he went to the bank to cash his checks, he divided the proceeds into two piles, giving his Mother $300. To her reply that that was more than half Riley replied "College is very important". Then he divided the balance into two piles. When asked, he said the one pile was his tithe with which he had asked his pastor to use to help a Confirmation youth-in-need next year. Cause and Effect! RILEY JAMES PIERCE BOGGS WILL DO WELL IN LIFE! Dad was so proud of me when I graduated from High School. One brother dropped out in the 7th grade, the other in the 9th, my sister in the 10th. I went to work as a Time Keeper, keeping time for about a hundred men on the night shift of a large factory. In 1948 people's pay was figured out each day and turned into the payroll department. "He makes his money pushing a pencil" my father bragged. I HATED IT! I saw myself running the factory, not "pushing a pencil". After 6 weeks I quit and joined the Navy. Later, after going to college on the GI Bill, I retired at age 60 a Vice President. My children are professionals married to professionals. AT AGE 82, I AM STILL DOING WELL IN LIFE! Great stuff! I love hearing about Rosebud and Riley! They sound like great kids. Can't wait to meet them one day. LAUGH LOUDER, LIVE LONGER: Start Now!